Ahh, Lush; the magical place where beauty addicts can go and watch their money miraculously disappear. The combination of cute names, delicious scents and a completely cruelty-free product line means that Lush is a firm favourite amongst conscious shoppers (if only they'd go completely vegan, my life would be complete!). 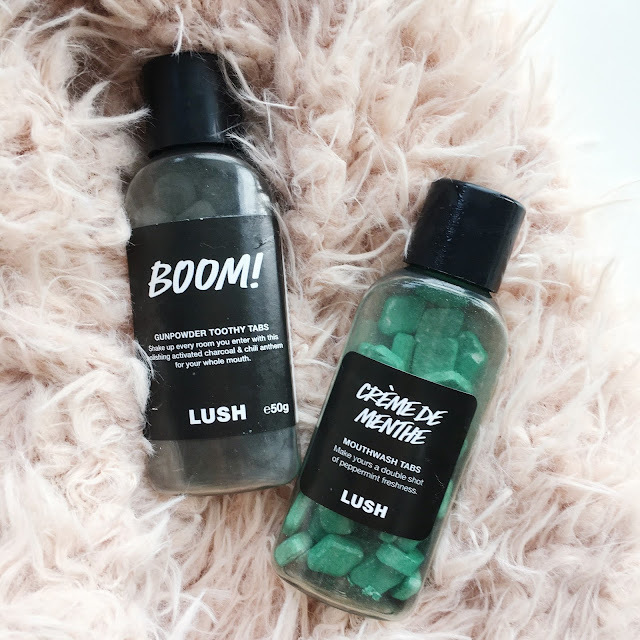 Plus their packaging isn't aimed towards anyone in particular which is kind of revolutionary, so the feminist in me is very happy (breaking down gender boundaries, one bath bomb at a time!). I'd be lying if I said I don't spend a large amount of my disposable income on skincare/bath products, so I figured why not make my obsession slightly useful and share my favourites with you lovely lot? Also, I have super sensitive skin and suffer from eczema so hopefully this post will help those of you who struggle too! Literally the only thing keeping me sane right now as I fend off flare-up after flare-up of eczema (thank you, crazy temperature fluctuations!). 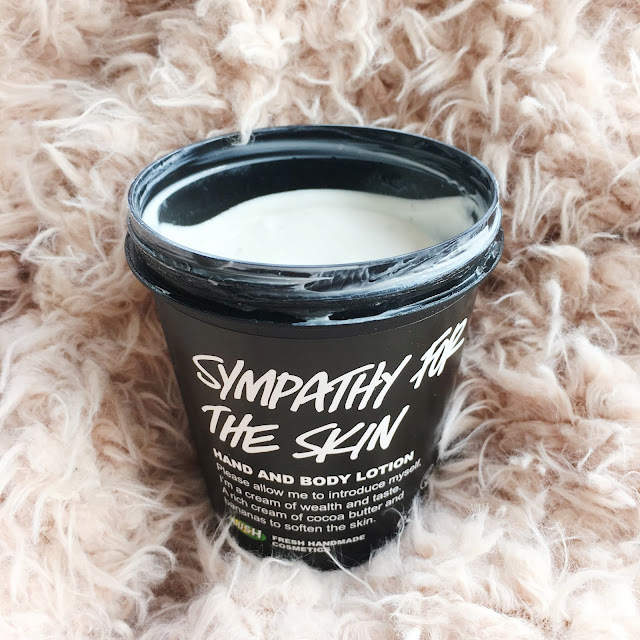 Sympathy for the Skin is the gentlest body lotion I've ever used, and it genuinely feels like it was designed especially for sore and sensitive skin. With ingredients such as banana, vanilla and cocoa butter, it not only smells incredible, it's also highly moisturising. Those of you who have experienced severe eczema, or even just a simple rash, will know that sometimes it feels as though your skin is burning; this body lotion has an almost 'cooling' effect to it, which makes it perfect to apply repeatedly when your skin is being a bit of a pain. Even if your skin is totally normal, this body lotion is perfect as it's not greasy or heavy at all. 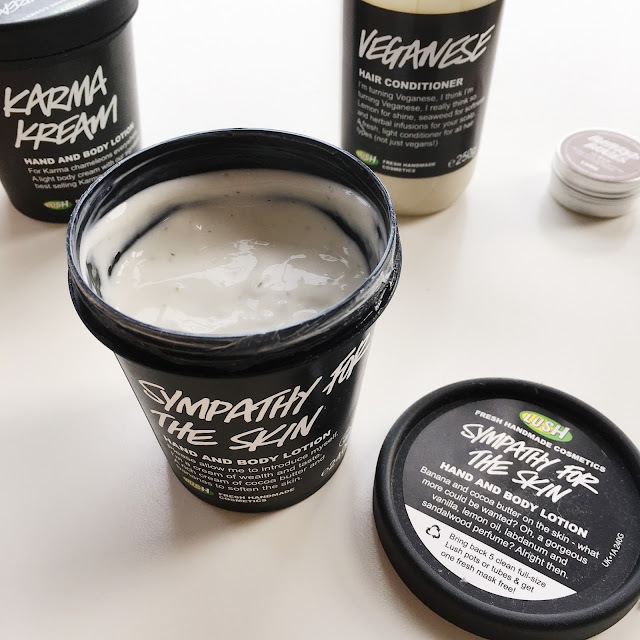 I also love Lush's Karma Kream Body Lotion when my skin is behaving itself, but it's slightly too perfumed for me to use on a daily basis. 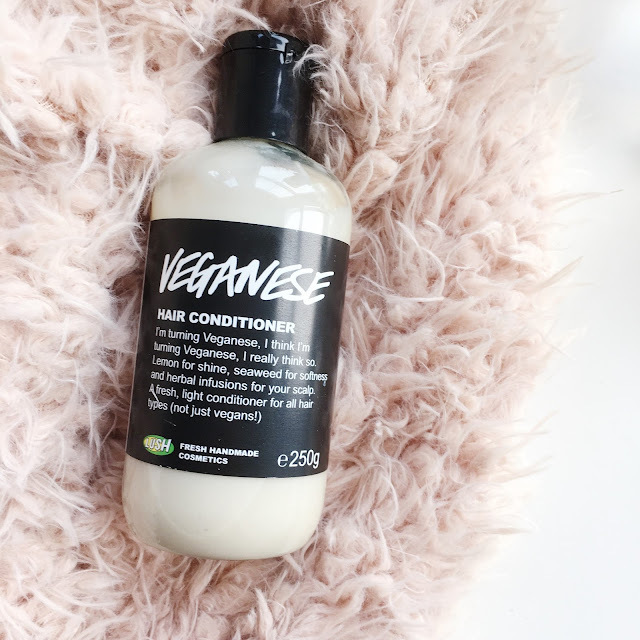 I've only just started using this conditioner but I'm already in love! I'd seen so many vegan bloggers talking about this so I finally bought some for myself a few weeks ago. 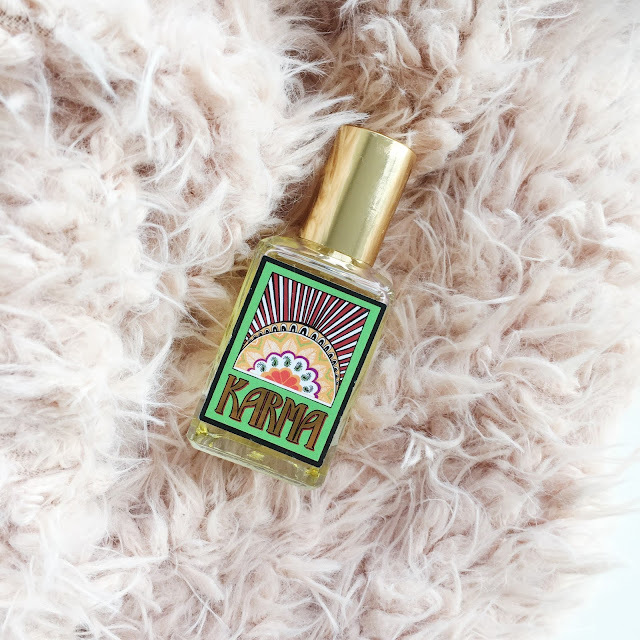 It has a fresh, citrus-y scent to it, and leaves my hair shiny and smelling gorgeous. I have quite long and thick hair so I tend to just use this conditioner on the ends to avoid running out too quickly! I cannot fangirl over Lush's Popcorn Lip Scrub enough, it's truly incredible; not only is it deliciously edible (! ), it also exfoliates without being too abrasive on my lips. 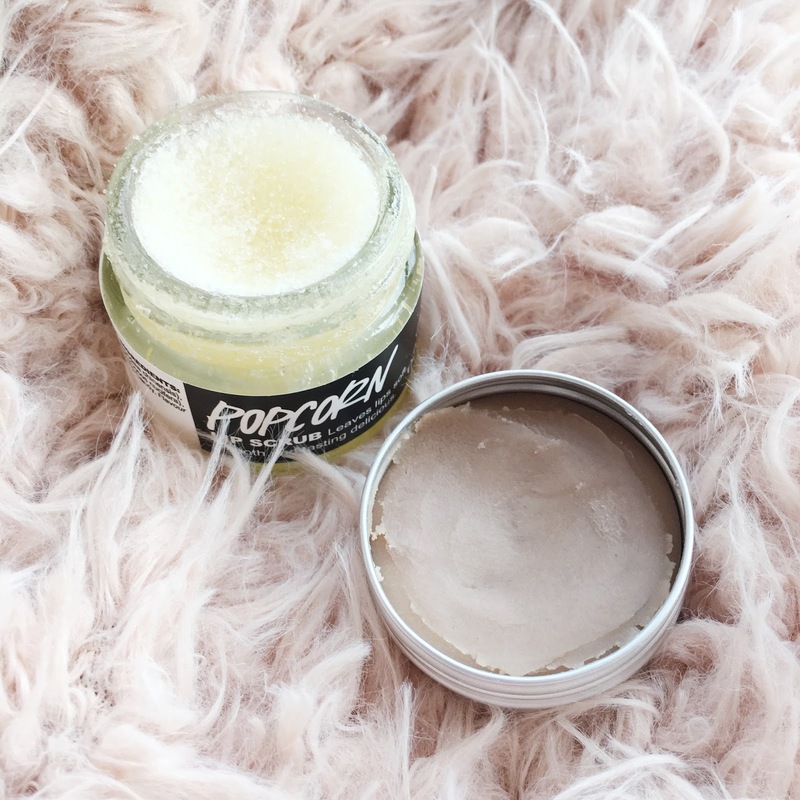 Dry and chapped lips are the bane of my life, and I'm sure a lot of you suffer in winter too, but this product really helps ease the discomfort. Plus it tastes like sweet, buttery vanilla popcorn which is never a bad thing. I've also been using the Buttered Brazils Lip Balm for the past few weeks and oh my goodness, it has improved my life so much. Unfortunately I can't spend every minute of my life with my lips covered in Popcorn scrub so the lip balm is perfect for applying throughout the day; it's nourishing and moisturising, and is full of delicious ingredients such as brazil nut oil, dark chocolate and coconut. Yum. Okay, stay with me on this one. Yes, it's toothpaste in a tablet; yes, it's black; yes, the taste is described as being like a mixture of chilli, lime and cola. But, my God, it's an amazing product. I first used Lush's Toothy Tabs a few years ago, back when they only had mint flavours and the tablets came in cardboard packaging (which would get wet if you stored them in the bathroom, meaning that the tablets got ruined, ugh). I absolutely loved them so I'm not sure why it's taken me so long to get back into them, but I'm extremely pleased to say that they've now updated their packaging to (very waterproof) plastic bottles, hooray! They've also increased the amount of flavours they produce, which meant I had a very difficult decision to make when I decided to try them again. I noticed that the highest rated product was the very odd looking and sounding, Boom!, so decided to take the plunge and try it. I wasn't disappointed; although the taste sounds absolutely disgusting (let's be real), it's actually delicious and it's a nice change from the usual minty toothpaste. The tablets are black due to the charcoal they contain, which is great for naturally whitening teeth, and they froth up just like normal toothpaste. Love, love, love. I bought the Mouthwash Tabs to use alongside the Toothy Tabs, as I wanted that blast of freshness that only mint can give you - they taste just like regular mouthwash which is fab! I cannot begin to choose between these two face masks - they're both amazing for different reasons. My boyfriend and I have both used Cupcake and found it left our skin super soft and smelling amazing. 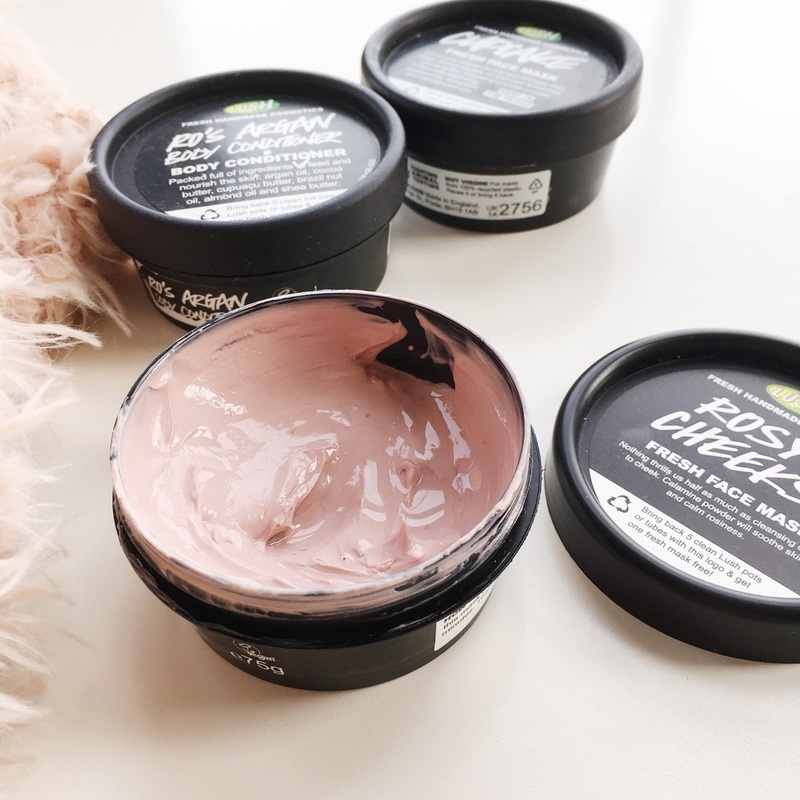 Rosy Cheeks is one I reserve for when my skin is being extra fussy and in need of a lot of TLC; it's gentle and soothing, and doesn't require a lot of scrubbing to remove, something which my skin is thankful for. My forever favourite perfume, and one which I hope is never discontinued. Orange and patchouli are the two main notes, and the scent is both sweet and sophisticated. It lasts all day and doesn't irritate my skin, which is always a bonus! I can't adequately describe this perfume and give it the review it deserves, so just trust me and visit your nearest Lush store immediately so you can try it for yourself! I don't have a decent picture of my shampoo bar because it's all soapy and weird looking (don't judge) but it definitely deserves to make this list. I don't think I'll go back to using regular shampoo because the bar works so much better! It's made my hair so soft and shiny, there's zero waste due to a lack of packaging, plus you only use as much as you need (I was guilty of pouring way too much shampoo out of the bottle beforehand!). As I mentioned earlier, I have thick hair which reaches my lower back, but I don't have to use a huge amount of the product to clean it. Plus, I have a bit of a thing for Lush's rose products so I'm a huge fan of the scent of this bar! So, that's it! 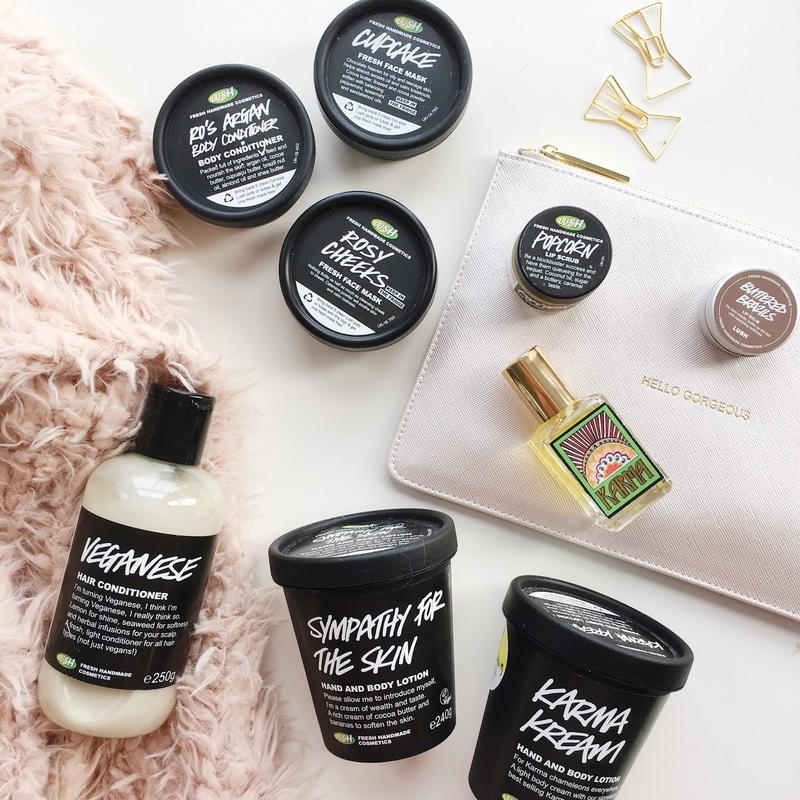 There are so many other amazing Lush products that I need to try but these are the current top picks. What are your Lush faves? Let me know in the comments if there's anything you think I need to try!